Do you carry around a bunch of keys with you wherever you go? If you do, maybe it’s time to get a master key system installed on your premises. It can be a pain to keep track of which key goes into which lock. A master key system, on the other hand, lets you use a single key to open all the locks on your premises. This system is very popular in large commercial buildings, hotels, restaurants, offices, warehouses, schools and universities. Some homes and apartments have also implemented this system successfully. City Locksmith Services has installed a number of master key systems for the residents of San Francisco, CA in the past. We are a professional locksmith you can trust, and provide an affordable service while respecting your privacy. How does such a system work? A master key system involves a range of locks and a set of sub-master keys and a single master key. These sub master keys can open a limited number of locks, while the master key can open every single lock. This is accomplished by endowing a lock with two mechanisms. The primary mechanism can be opened by the master key while the secondary mechanism can be opened with a unique change key. However, this system isn’t suitable for all establishments. A master key falling into the wrong hands, for example, can open up gaping holes in your security situation. 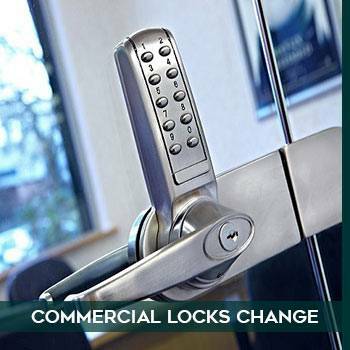 You can call City Locksmith Services if you need advice on what kind of security to get for your establishment. Our locksmiths will gladly carry out a survey of your premises and advise you if your property is a likely candidate for the master key system. City Locksmith Services operates a 24-hour locksmith service in San Francisco, CA. If you need a replacement for your master key system at 3 am, don’t think twice about calling us. We can reach your location in a matter of minutes, in most cases. Our mobile locksmith vans carry our tools – we can provide you key cutting services onsite. Call us on 415-450-9674 to book our locksmithing services today!